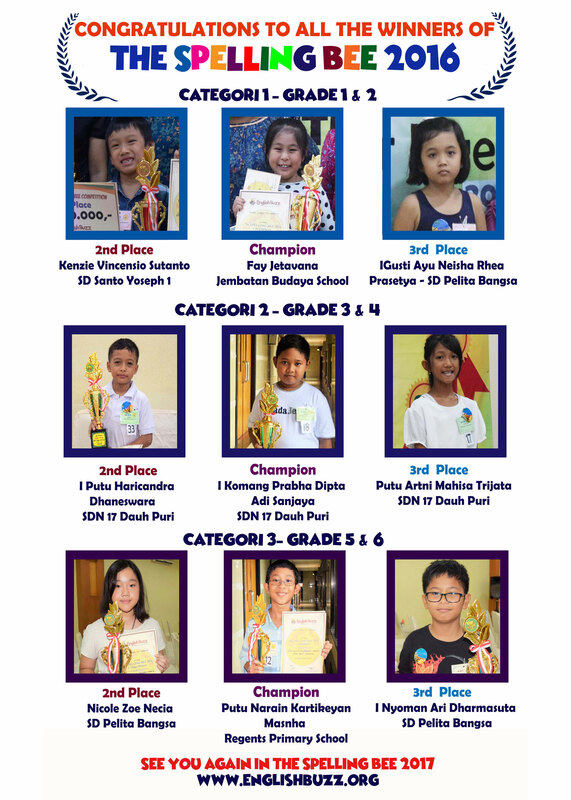 English Buzz Bali held its second Spelling Bee competition last December 17, 2016 at Hotel Nikki Denpasar. More than 90 young learners between 7-12 years old from different primary schools in Denpasar joined this exciting event. Participants and their families witnessed this fun event and were amazed to see how their children’s hard work paid off. Winners took home cash prizes, a trophy, gift vouchers and certificates. 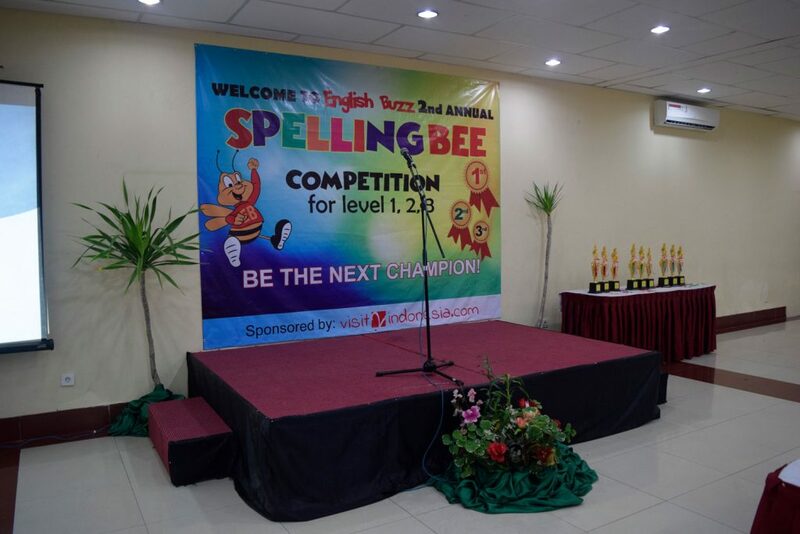 English Buzz promotes program like this, as spelling bee not only provides a valuable educational experience for children, but also allows them to engage in healthy competition in a supportive environment. They also learn grammar, enhance their vocabulary, gain self-confidence and develop a range of cognitive skills when they join contests like this.